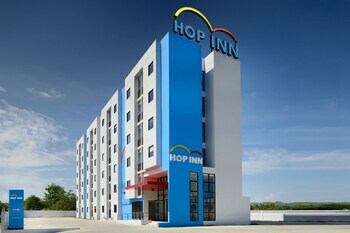 With a stay at Hop Inn Nakhon Ratchasima in Nakhon Ratchasima, you'll be within a 15-minute drive of Maha Weerawong National Museum and Big C Korat 2. Free self parking is available onsite. Located in Surin, Baan Chang Ton is within a 15-minute drive of Wat Burapharam and Surin National Museum. The front desk is staffed during limited hours. Free self parking is available onsite.